Is Rainey Street Washing Away? 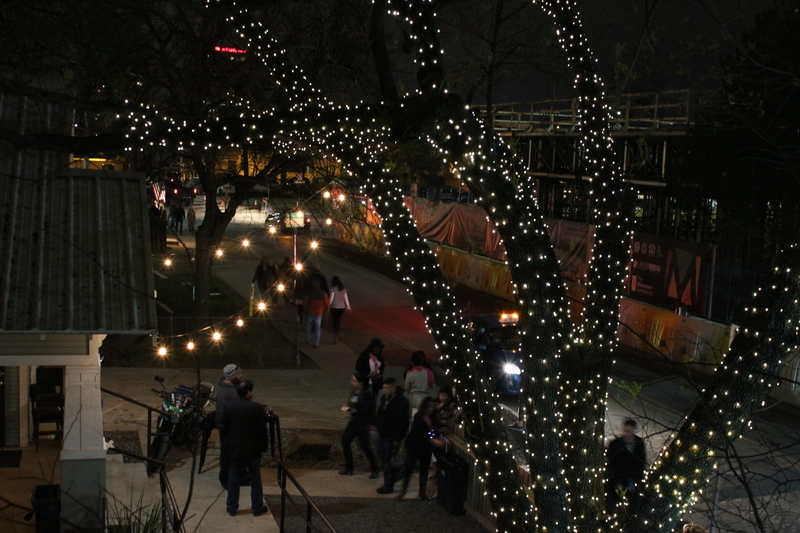 Rainey Street has seen its fair share of change over the years. 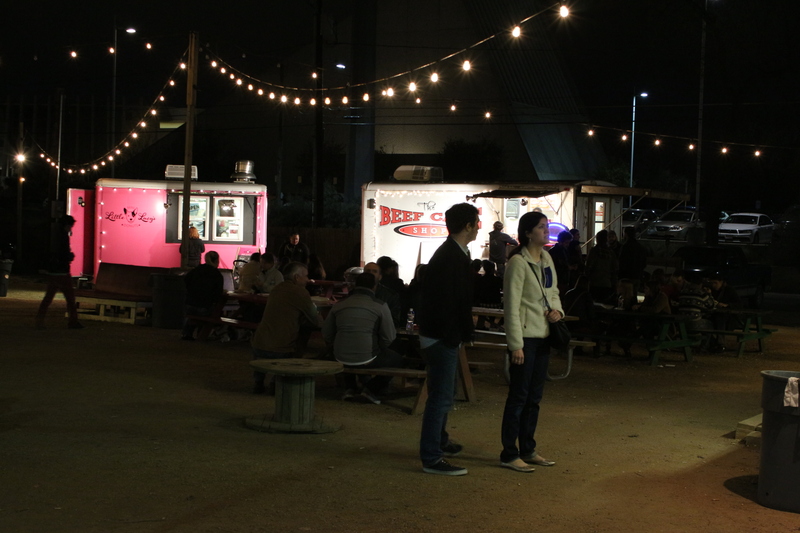 Situated near Lady Bird Lake, Rainey is a small street tucked away between downtown and I-35. 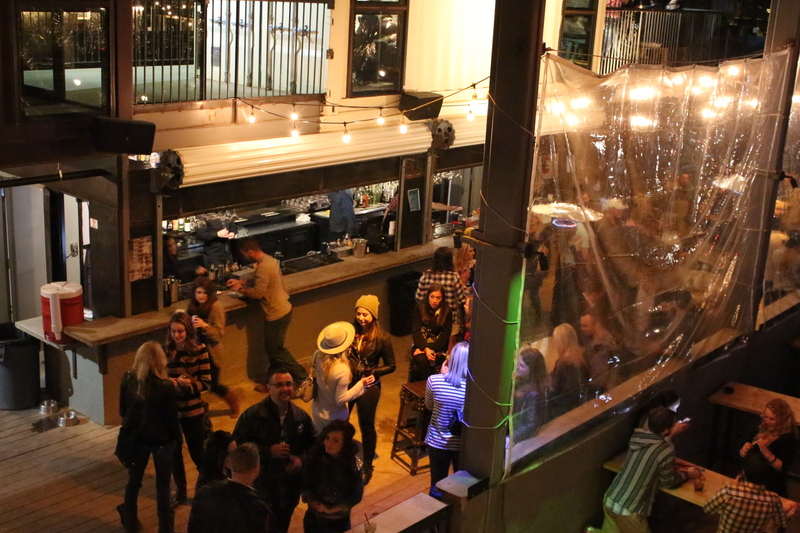 But over the past six years, Rainey has also developed into a popular bar district, serving as alternative to Austin’s well-known Austin’s Sixth Street. 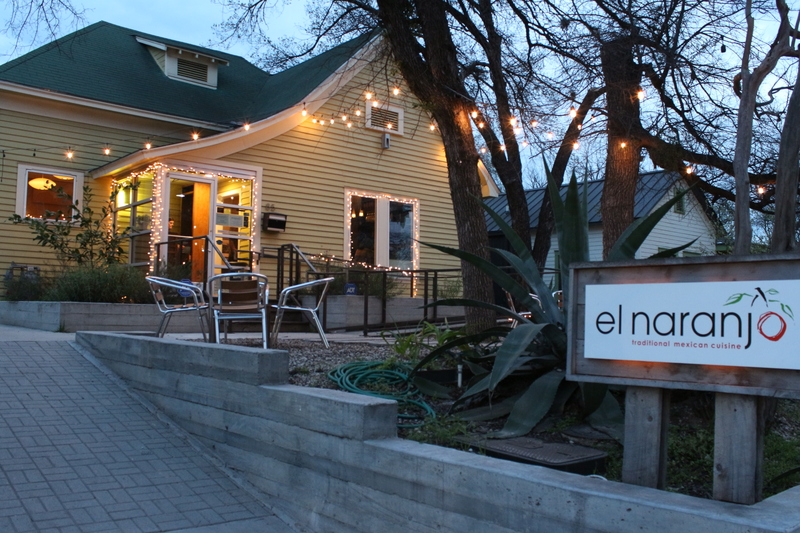 Long before becoming part of Austin’s nightlife scene, Rainey was a Mexican-American neighborhood. 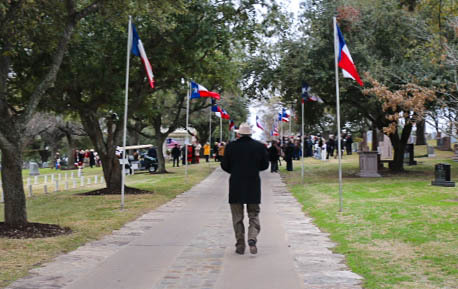 In 1985, the street was added to the National Register of Historic Places. Partly due to its close location to downtown, the city rezoned the street in 2005 as part of the Central Business District. Beginning in 2009, the rezoning allowed for several developers to refit the historic bungalows along the street into bars. 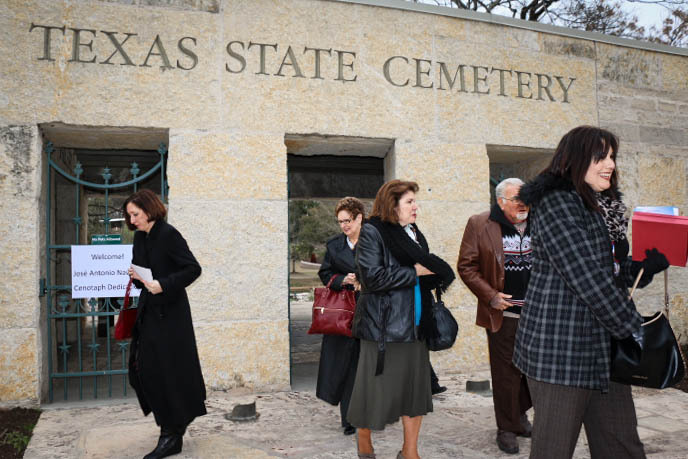 But in more recent years, the street has seen even more change: high-rise condominiums and apartments – such as SkyHouse Austin and Windsor on the Lake – have slowly popped up on and around Rainey. Last year, the development directly impacted the young bar district when Lustre Pearl, the first bar on Rainey, closed last year to make way for a new high-rise called Millennium Rainey. The new building is currently under construction on the northeast corner of Rainey. 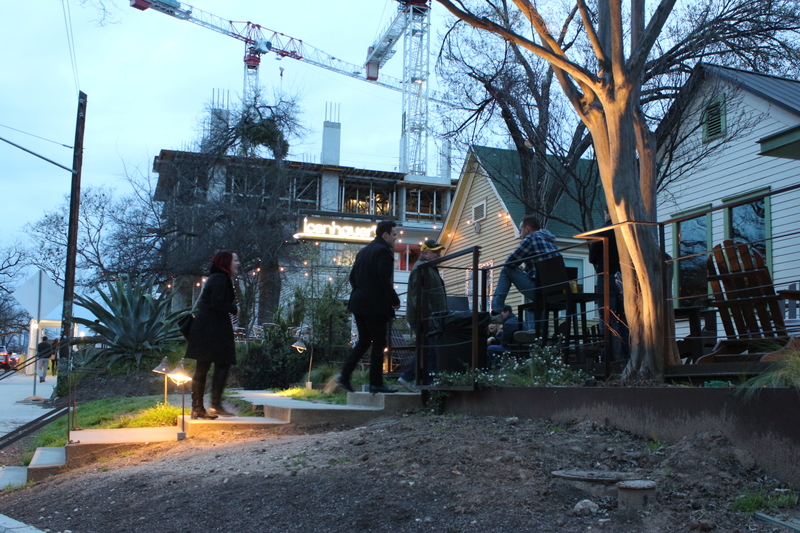 Some regular visitors to Rainey feel the new construction is taking away from the bar district’s charm. 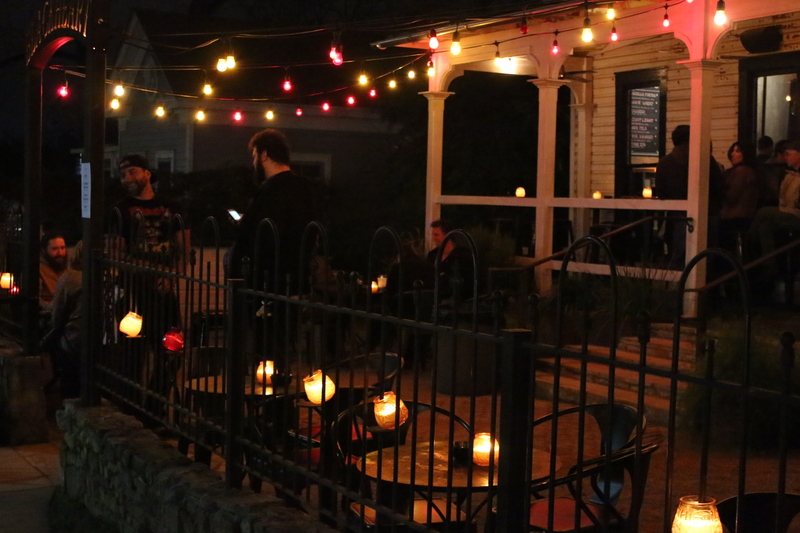 “I enjoy the atmosphere of Rainey a lot, and I feel like it’s being diminished to a certain extent because of these high rises and the commercial parking garages being built,” UT student Jeffrey Parabo said. 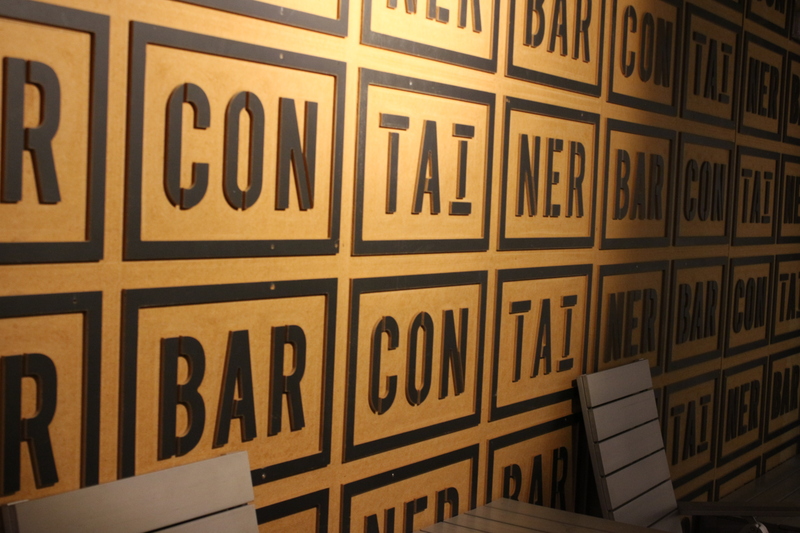 While more high-rise construction is underway or planned for the area, the bar district isn’t showing any signs of caving soon. In fact, a few months after it closed, Lustre Pearl announced the bar would return to Rainey across the street from its original location. In America, “energy” is most often associated with terms like “oil” and “fossil.” UT’s solar decathlon team wants to change that distinction. The team, made up of University students partnered with students from German university Technische Universität München, has spent the last two years designing a solar-powered home called “Nexushaus.” The project will be a part of the U.S. Department of Energy’s Solar Decathlon competition, which promotes the application and use of solar technologies in buildings. Although currently a model, the team plans to marry solar power with water-saving and food-producing technology to create a self-sustaining home that is both eco-friendly and stylish, which they will build in Austin and ship to Irvine, California for the October competition. 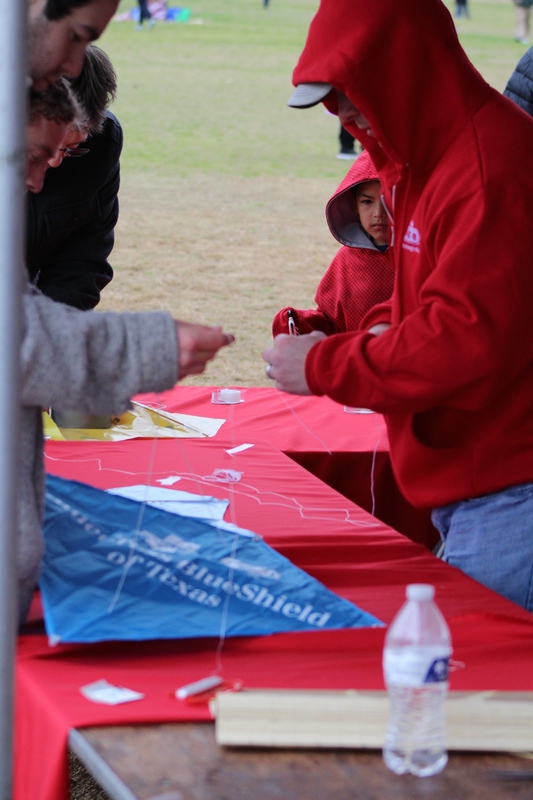 Upshaw, a fifth-year graduate student who is also the team’s solar engineer, became involved with the project through the University’s architectural engineering department. 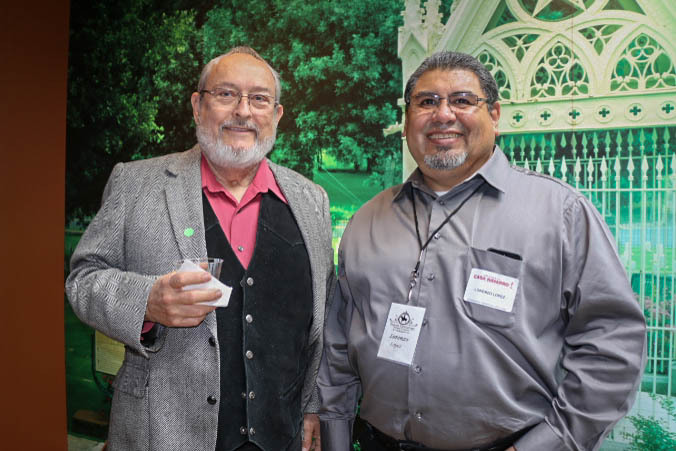 He said his Ph.D. research into integrated buildings and water systems attracted him to Nexushaus when the DOE approved the project application last March. The design mock up shows the recyclable and reusable materials the team plans to use for the home. 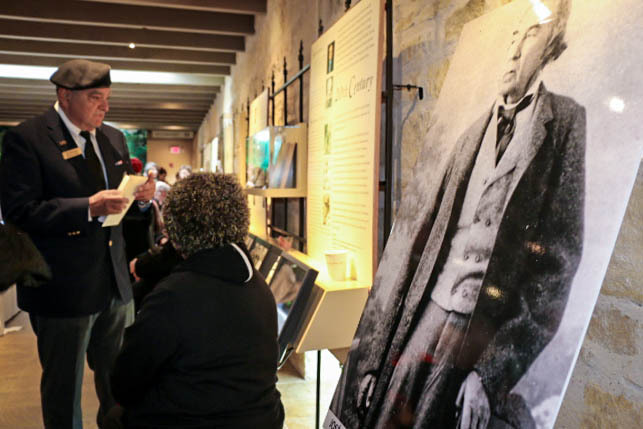 Upshaw said the house takes a holistic approach to energy issues by including water-saving technology and food production as well as solar energy into the plans. 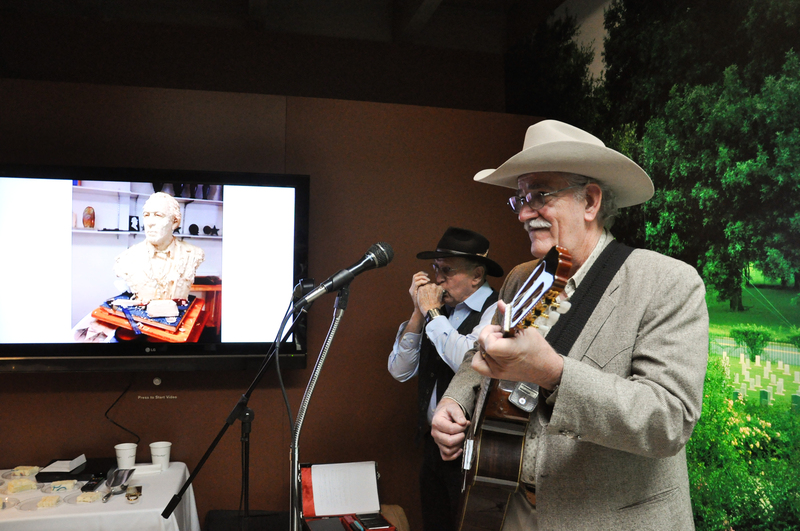 The home, which includes two 400-square-foot modules connected by a central corridor, will be zero net energy, which Upshaw said means it would produce as much or more electricity it consumes over a single year. The home also hosts cisterns on the roof to collect rainwater, which is then treated and used for domestic tasks, such as shower, laundry and wastewater. Once used, Upshaw said that water becomes gray water, which is then used to produce the unit’s food. 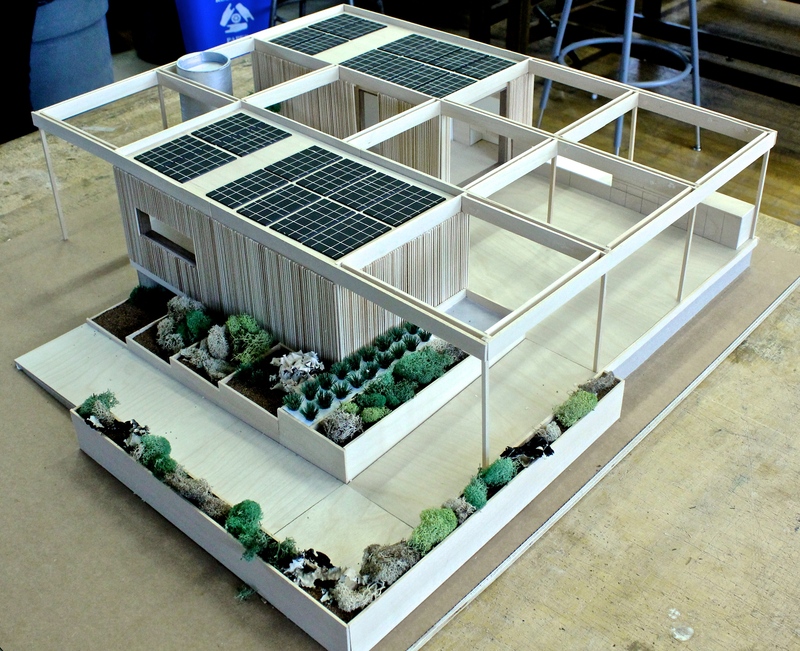 Project manager Ryan McKeman, a second-year architecture masters’ student, said he first became acquainted with the project after seeing a Solar Decathlon competition while consulting in Washington, D.C, where the competition formerly took place. 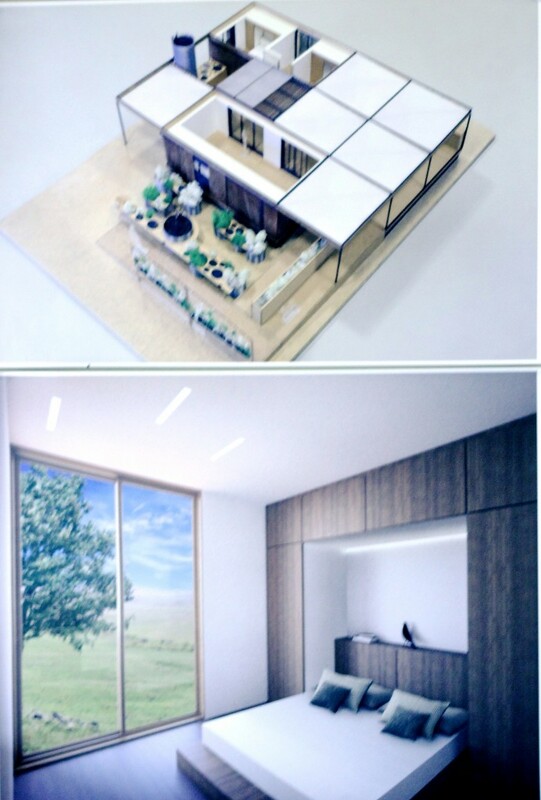 The model of the house shows the solar panels and sustainable food areas. McKeman said besides working with engineers to get the correct building permits and having the project be completely student-led, a problem faced by the team is the partnership with German university Technische Universität München, or TUM. Interior design senior Emily Hightswaggle said working with students from TUM presents a different experience than found at UT. Hightswaggle, who is a part of designing the home’s interior, said the team is in the process of picking out reusable or recycled material for the home’s construction, which Upshaw said will begin next month. “[We’re] looking at materials that have less of an impact to the environment and could be reused in the future,” Hightswaggle said. Upshaw said the energy problems the team is looking to solve are universal issues. 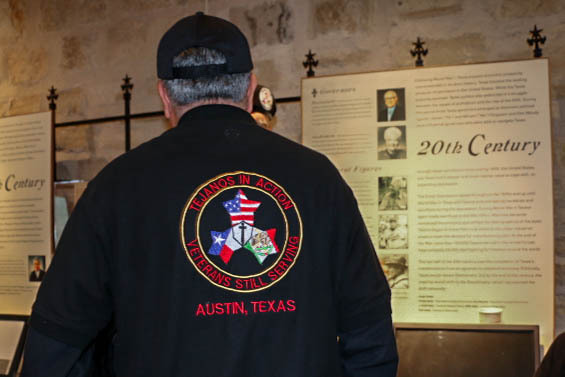 AUSTIN- He is a man you will not find in many Texas history books. 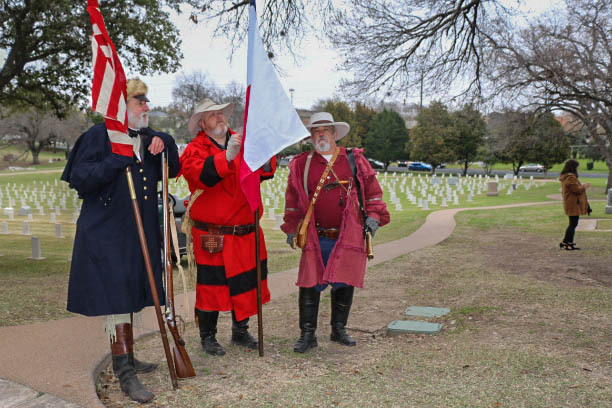 On Feb. 27, Jose Antonio Navarro, a little-known hero of the Texas Revolution, was honored with a cenotaph dedication ceremony at the Texas State Cemetery. 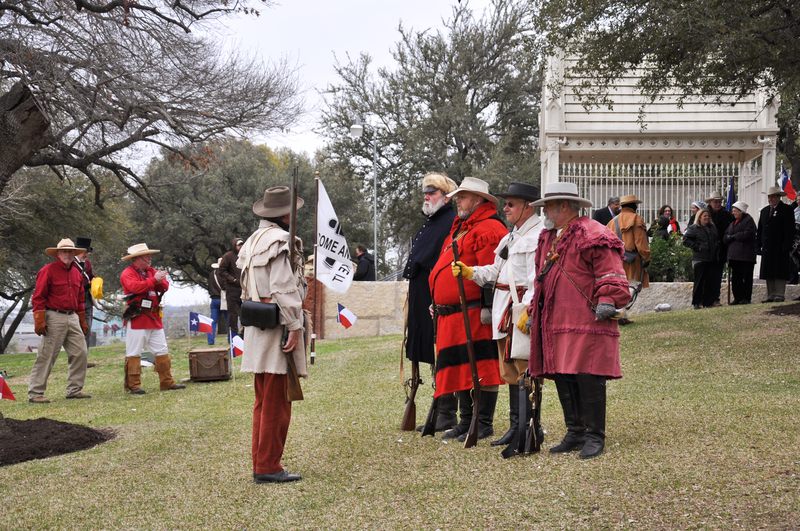 The ceremony coincided with his 220th birthday. 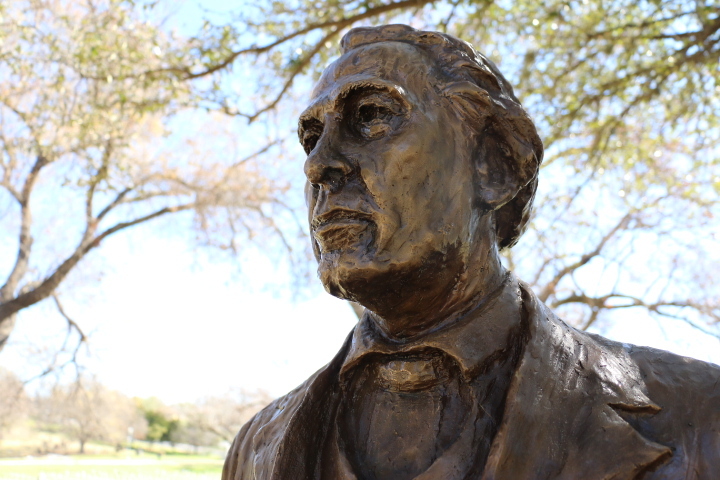 A self-educated lawyer and statesman, Navarro was one of the three Tejano signers of the Texas Declaration of Independence. 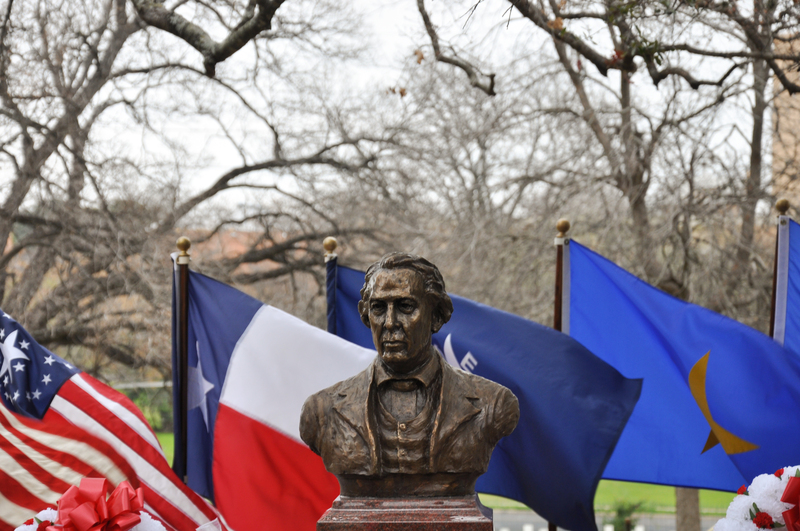 Born in San Antonio, where he lived from 1795 to 1871, he was one of the earliest supporters of Texas independence. 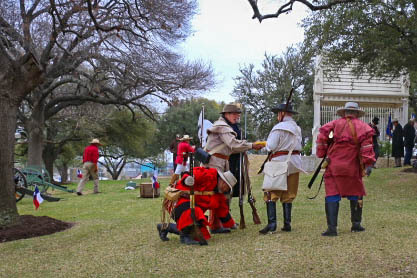 Navarro was a central player in the events surrounding the revolution and a close friend of Stephen F. Austin. 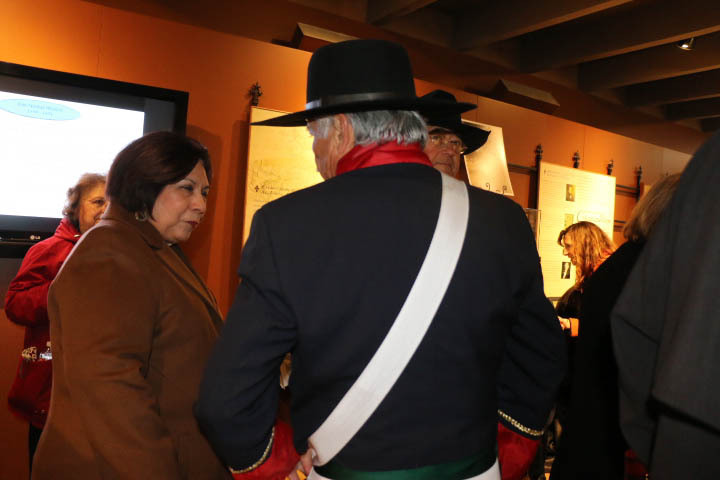 The audience was filled with descendants of Navarro, many of them able to trace their ancestry back to the 17th and 18th centuries. 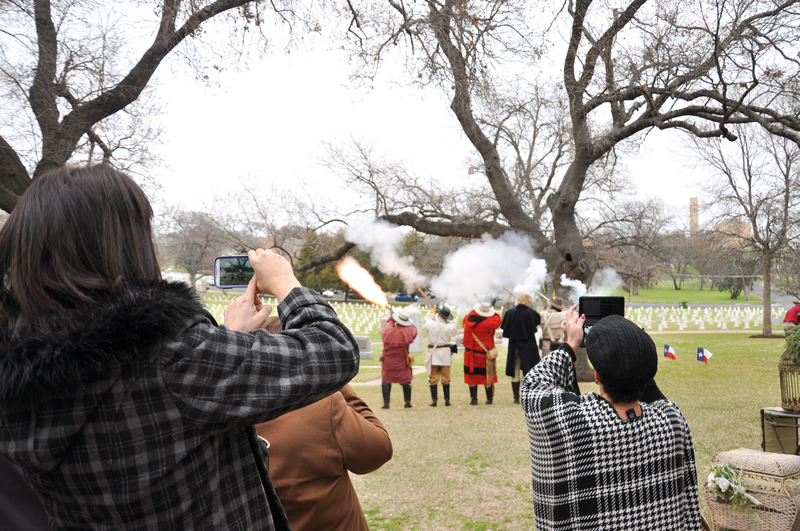 Texas Legacy Reenactors shoot rifles at the end of the dedication ceremony to honor Jose Antonio Navarro’s legacy. 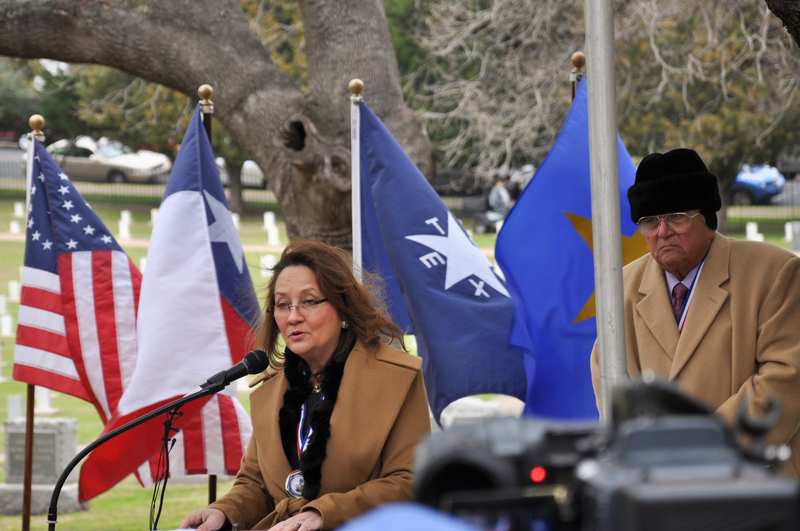 Speakers included multiple historians, Texas First Lady Cecilia Abbott, Texas Speaker of the House Joe Straus, and Sylvia Navarro-Tillotson, a direct descendant of Navarro who was instrumental in bringing about the event. 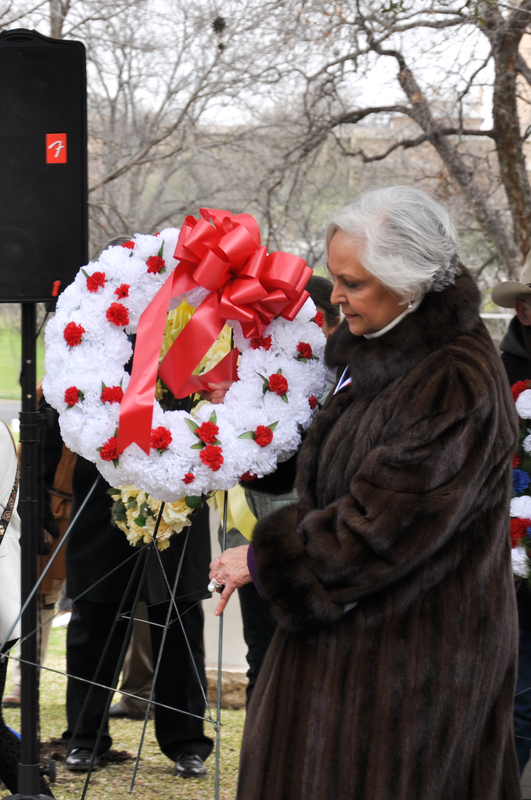 For her son, James Tillotson, the event was a monumental occasion. 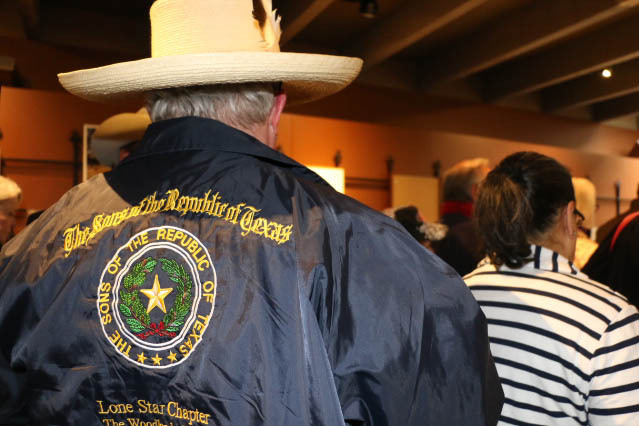 Tillotson said he is impressed by Navarro’s refusal to denounce Texas. 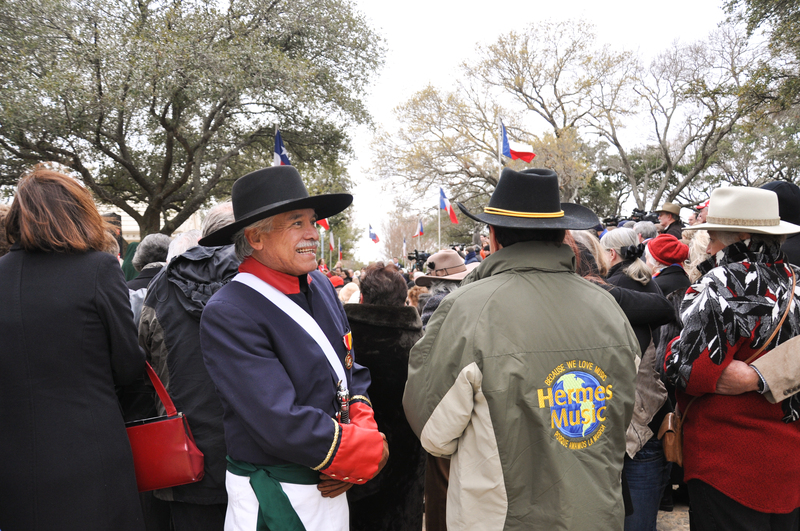 Texas Legacy Reenactors exclaim a traditional “hip-hip-hooray!” for Jose Antonio Navarro. 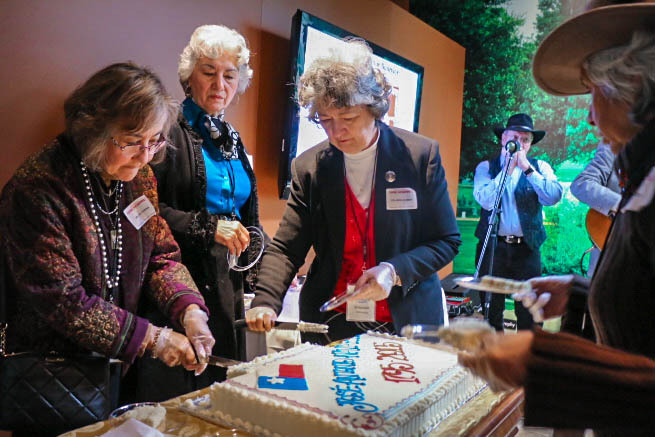 Numerous Texas historical societies were represented at the dedication ceremony, including The Tejano Genealogy Society of Texas and the United Daughters of the Republic of Texas. 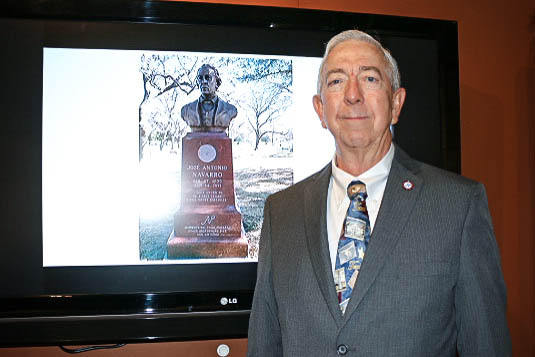 Lorenzo Lopez, a member of The Tejano Genealogy Society of Texas, hopes that more people will become aware of Navarro’s legacy and impact on the state. 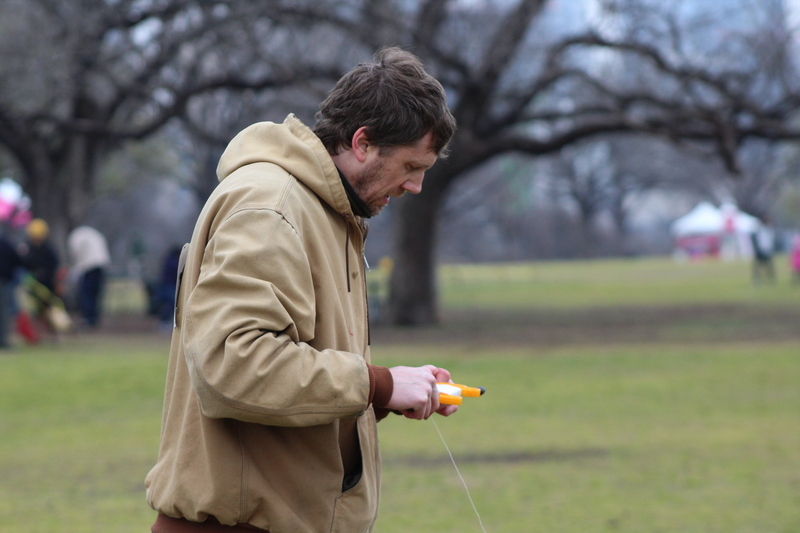 “There’s a lot that happened that we aren’t taught in schools,” he said. 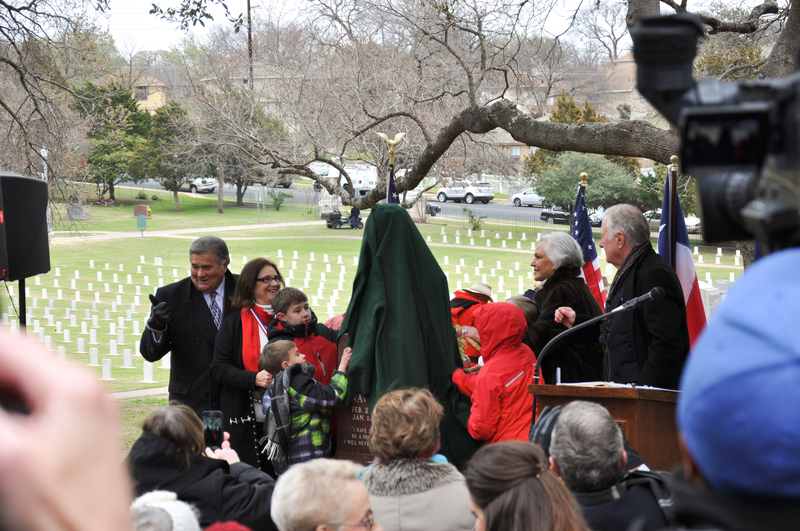 Many descendants at the ceremony said that they were not aware of Navarro’s accomplishments and legacy until they reached adulthood, having not been taught about him in public schools. 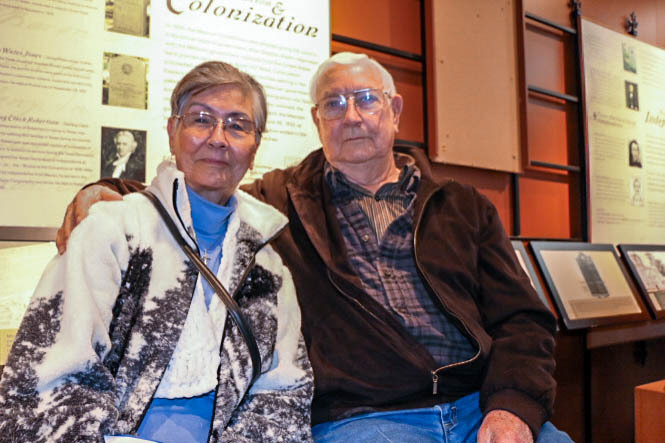 Mary Ann Wiles, a 7th generation descendant, would tell her teachers about him as a child. 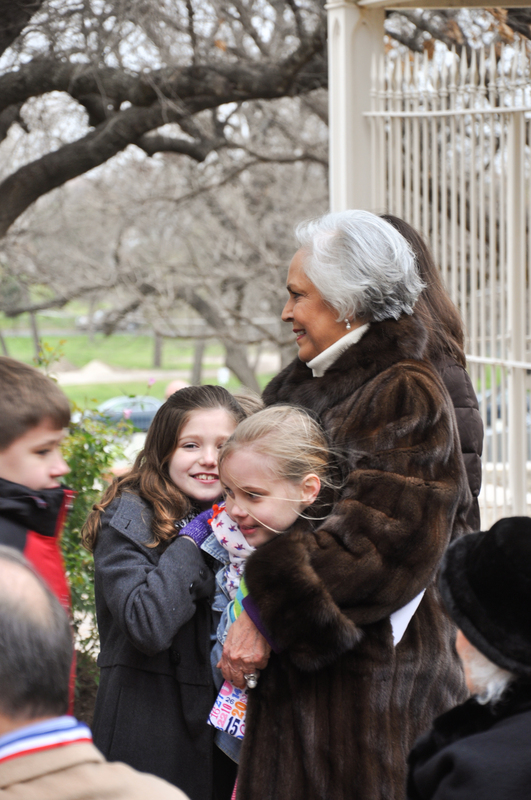 For her, the dedication ceremony was a long time coming. 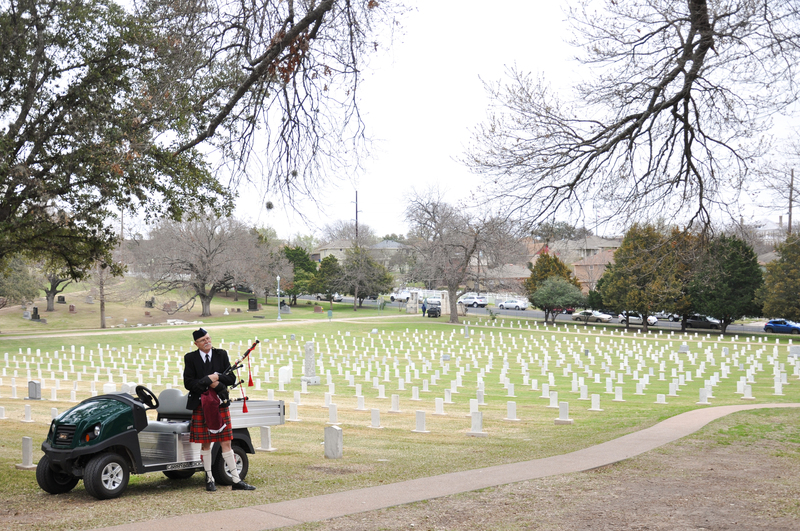 “The event encapsulates so much. In San Antonio, they don’t even know about him. 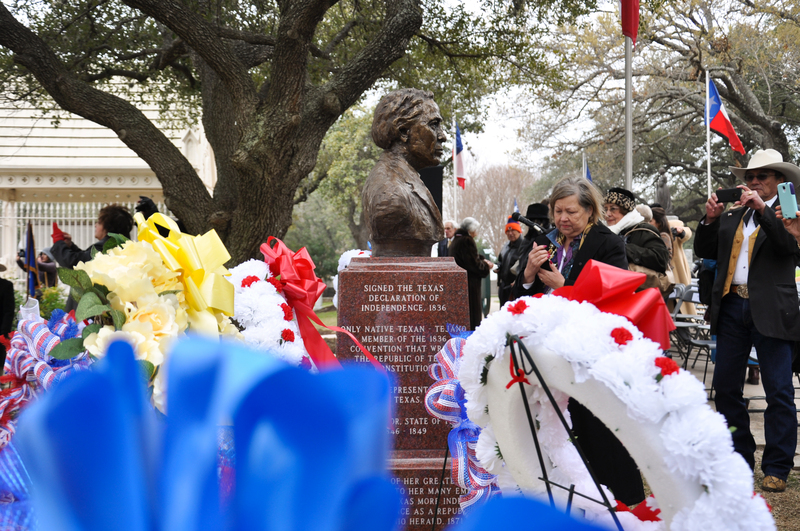 His bust should be in the state capitol,” she said. 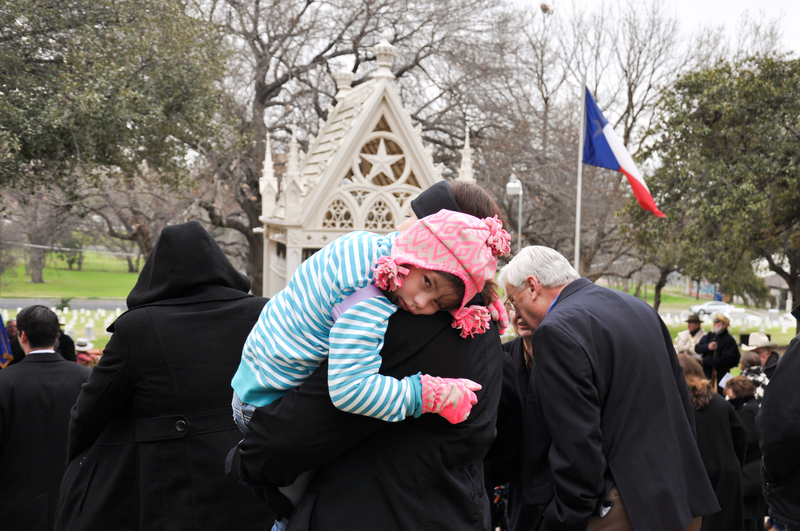 Visitors can view Navarro’s memorial in the Texas State Cemetery which is free and open seven days a week. 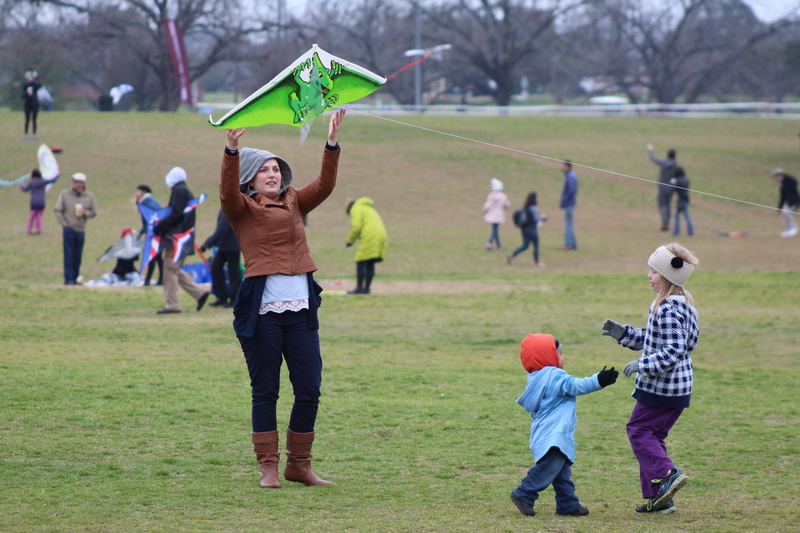 Long-time kite flyers and sunny day fans Gene and Kerry Raymond were hoping it would rain hard on Sunday, March 1, so officials would postpone the Zilker Kite Festival. But it didn’t. 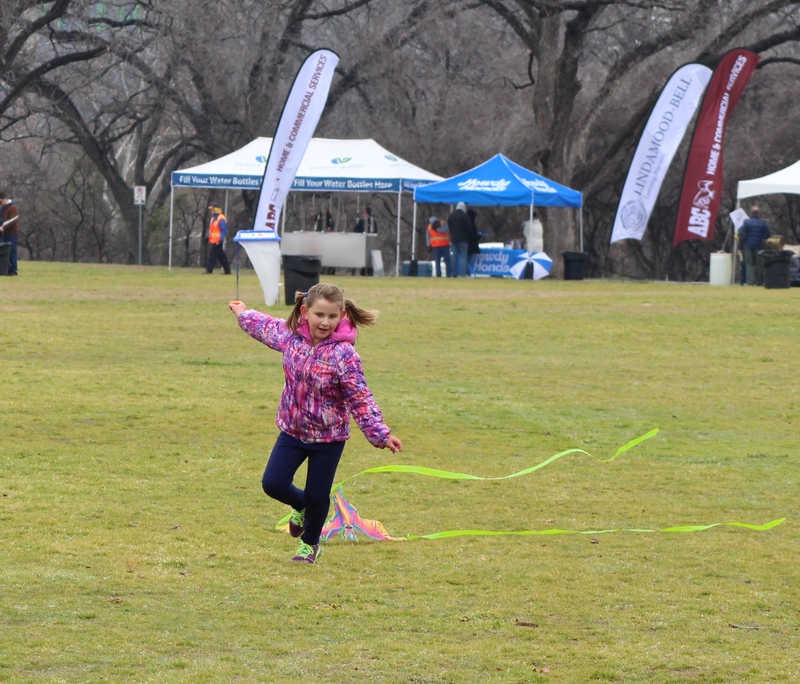 While weather forecasts had promised an ugly day with low temperatures and heavy clouds, Austin did not receive heavy rain. 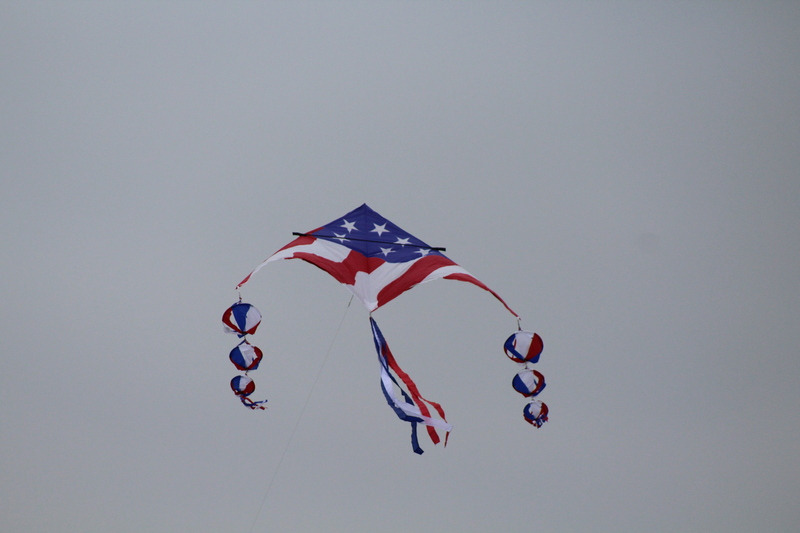 Gene and Kerry said they would rather it rain heavily so the Kite Festival could be rescheduled for a sunnier, cheery day. But that didn’t happen. 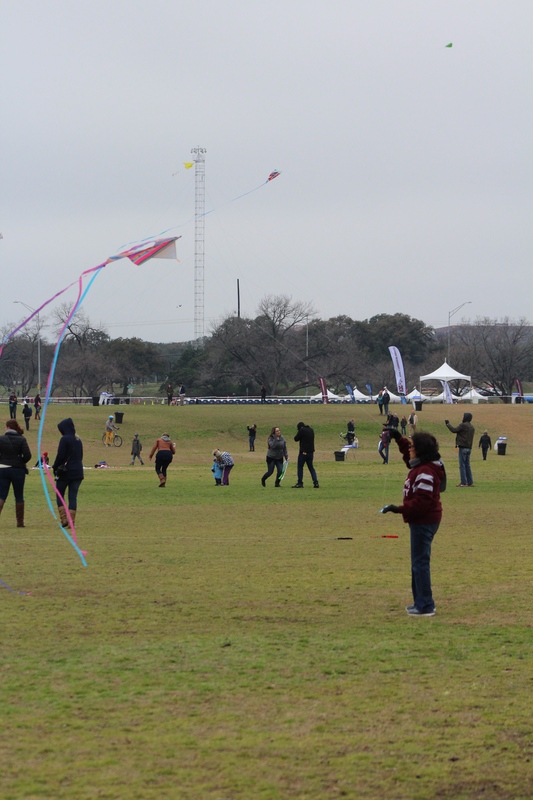 Despite an average temperature of 43 degrees, more than 10,000 people swarmed Zilker Park on March 1 for the 86th annual Kite Festival in Austin. 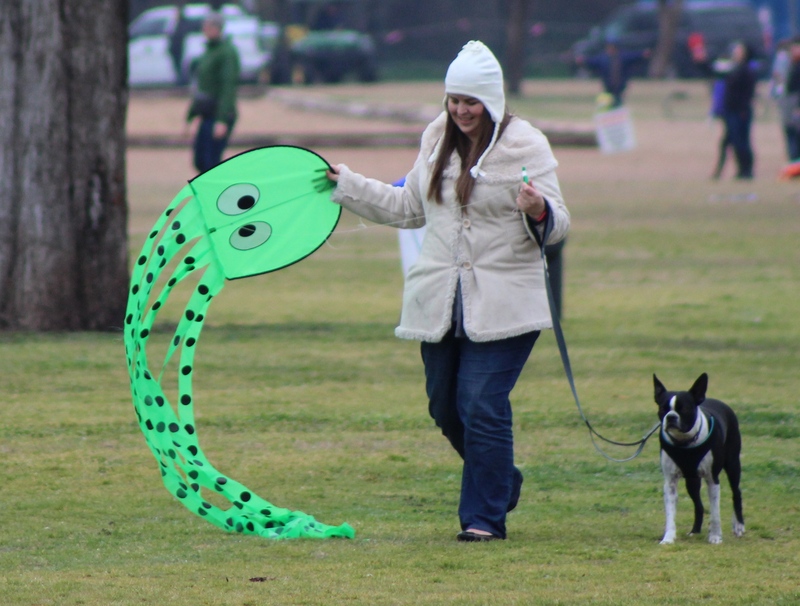 Attendees said the kite festival brings out Austin’s southern friendliness and urban weirdness. 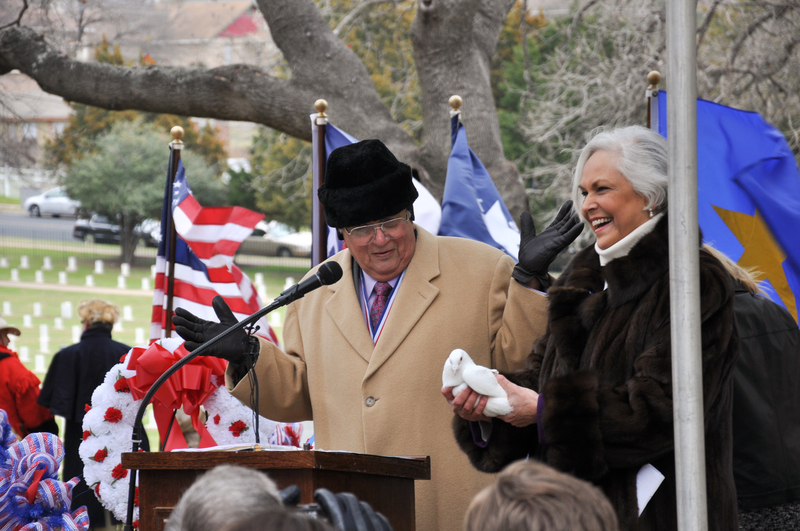 Gene and Kerry Raymond were just two of those 10,000 attendees. 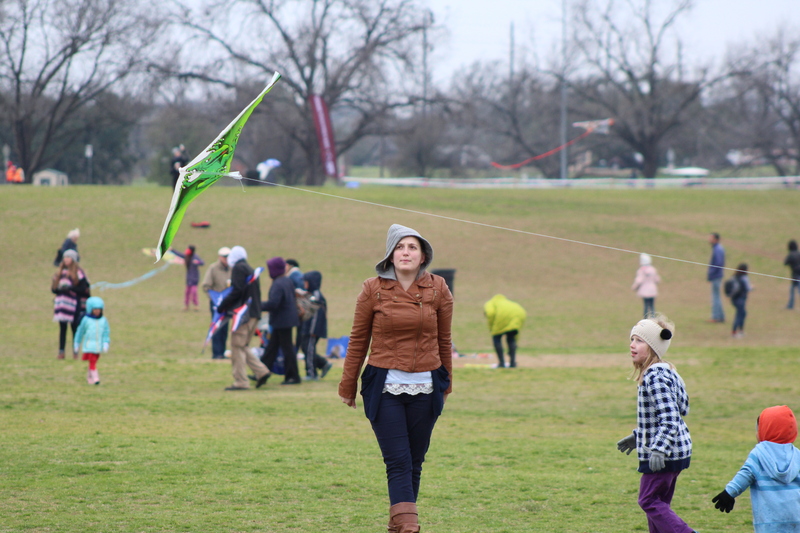 They were there for tradition — they had their first date at the Zilker Kite Festival in 2002. 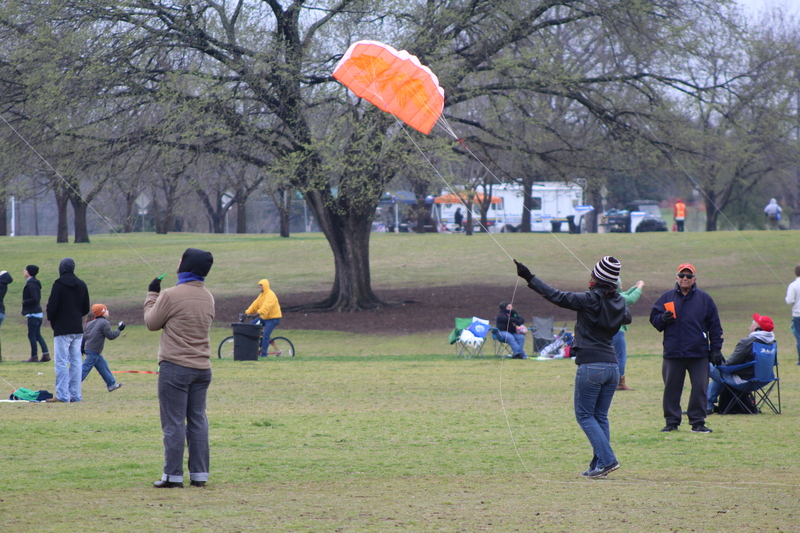 Unlike the 2015 Kite Festival, 2002 was a sunny and warm year, they said. After attending the festival for the first time in 2002, they got ice cream. 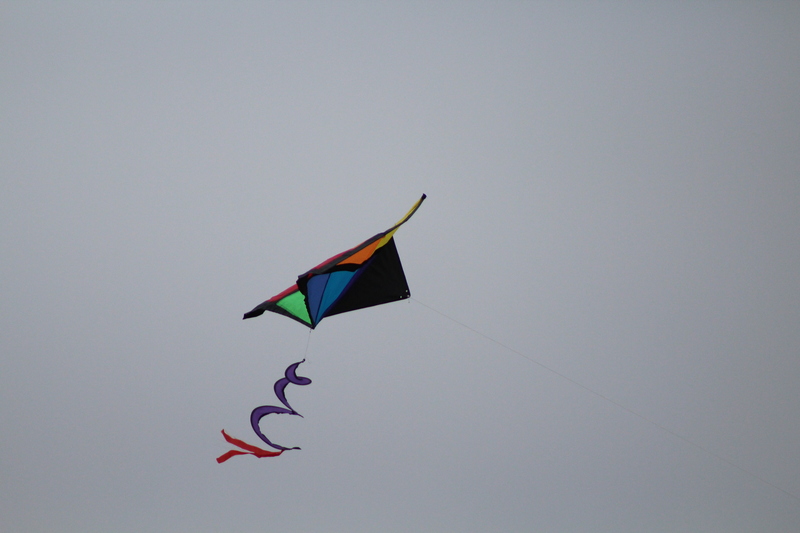 Since then, the couple said they have only missed two kite festivals. Once in 2006, when it was scheduled on a weekend when they had work obligations. And again in 2009, when Kerry was pregnant and expecting her first son – Zachary Raymond. 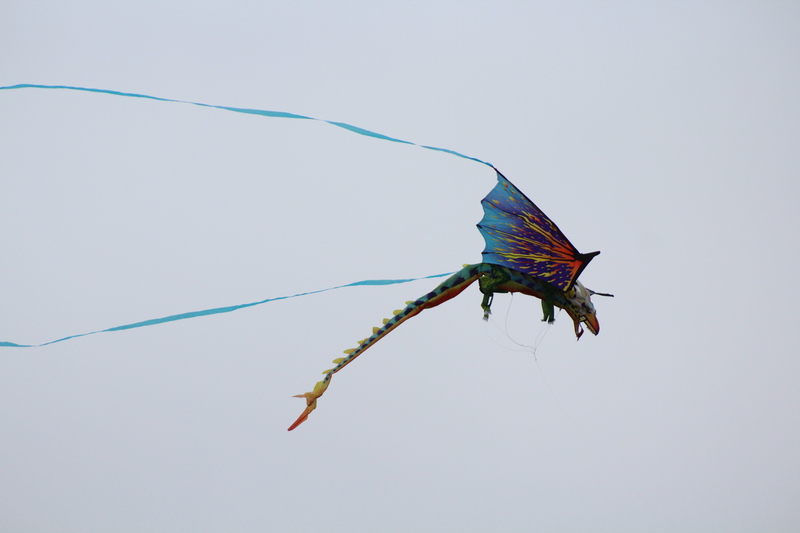 He was born three days after the Kite Festival. 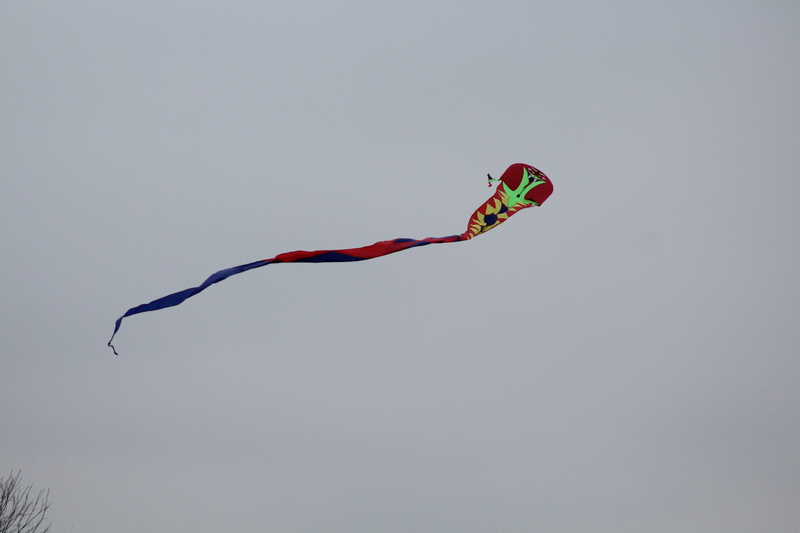 This year, the Raymond’s made a simple, red diamond-kite for the festival. 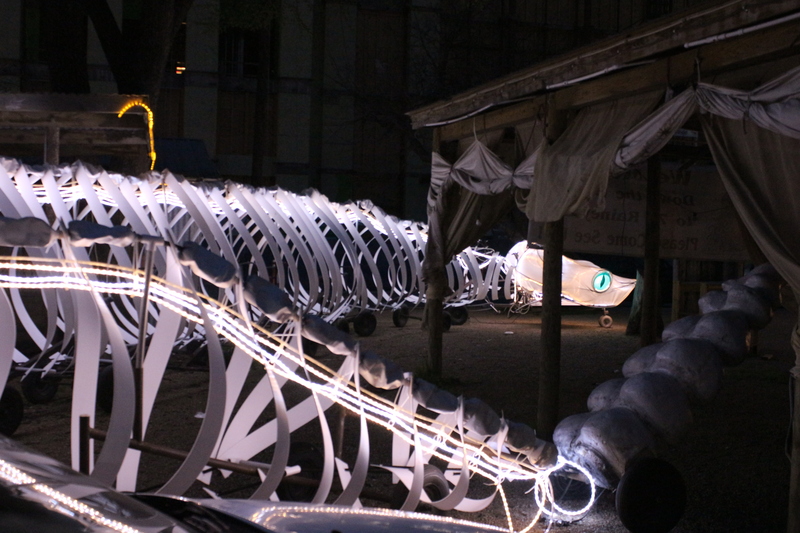 They said they had made more complex designs in the past, but did not have time this year. 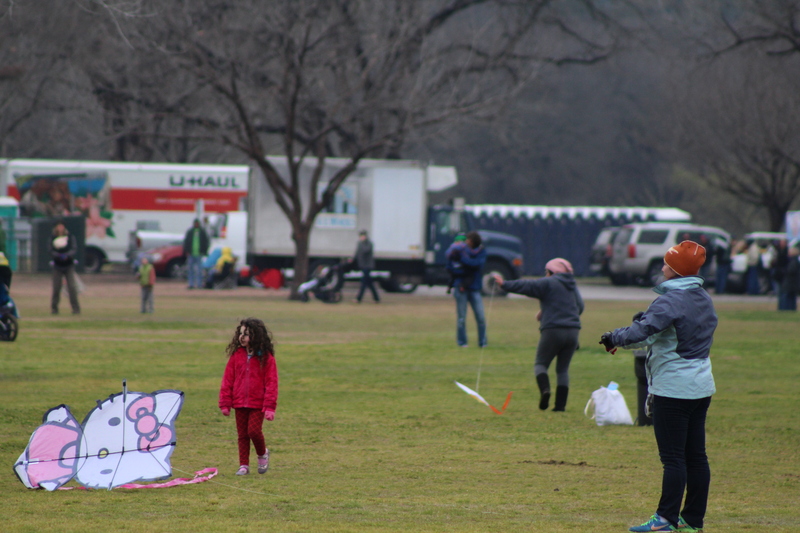 The Zilker Kite Festival began in 1929 and continues to this day, to “encourage creativity in children,” according to the event’s website. 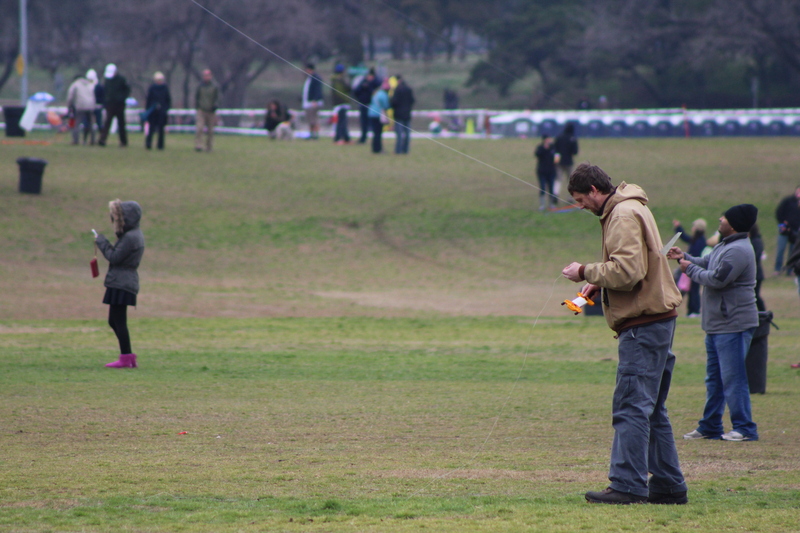 The City of Austin claims it is the longest running kite festival in the United States. 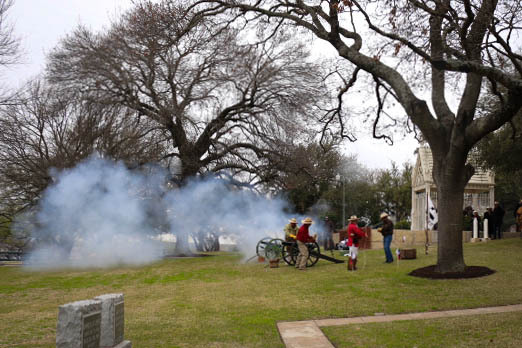 It is hosted every year by the Exchange Club of Austin, and money raised from the event go to charity organizations. 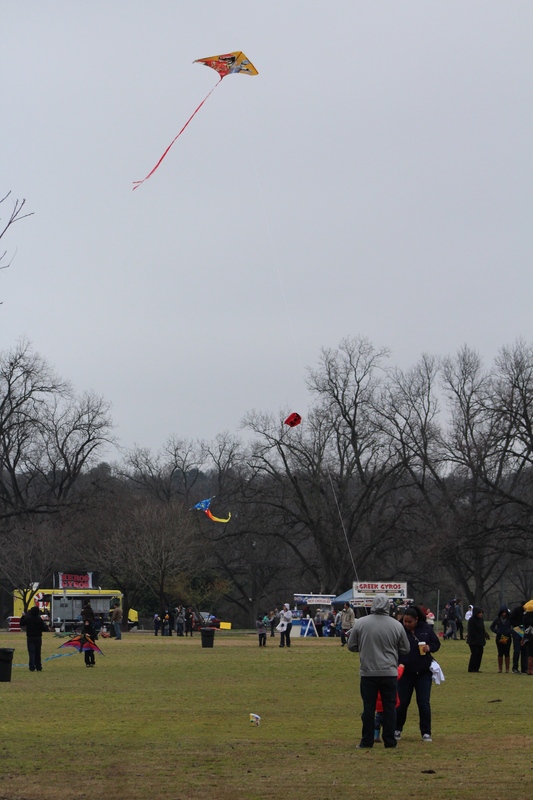 While the Raymond family attended the kite festival as part of family tradition, others said they took to the Kite Festival because it reminded them of Austin culture. 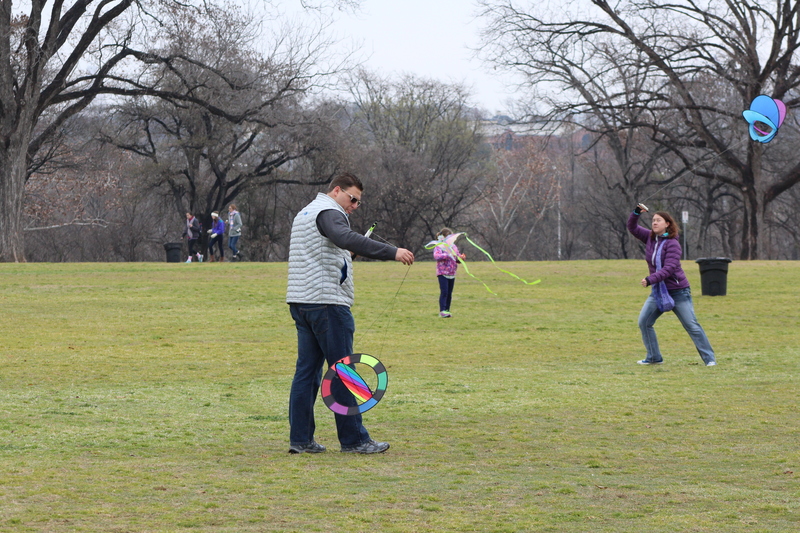 Some people just want to have fun, however. When Taiki Miki woke up in the morning, his usual routine involved a quick shower, brushing his teeth and possibility drinking a glass or two of water. 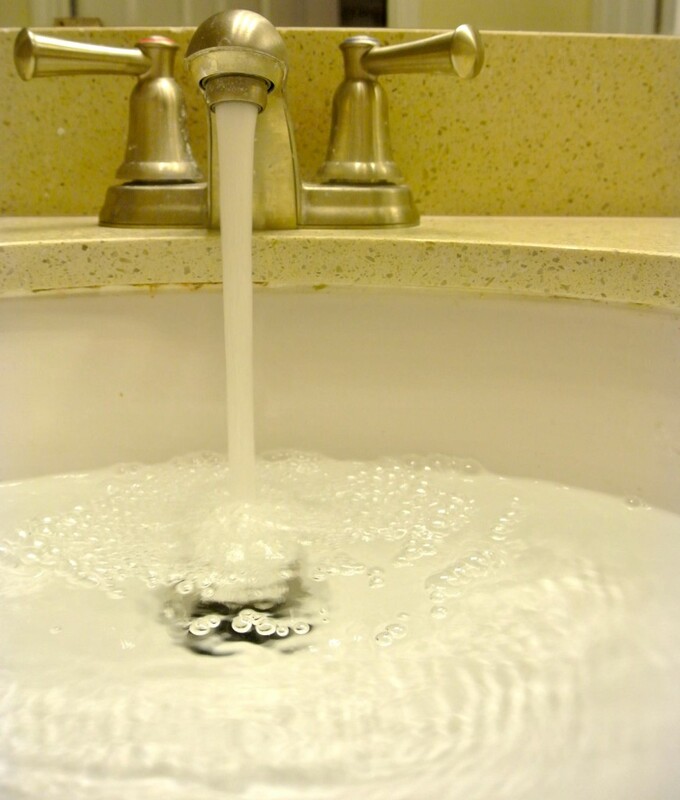 The sink water running in an Austin apartment. Miki estimates he uses about 18 gallons of water each morning. But when he lived at his former apartment in Austin, he didn’t have to worry about the individual amount of water he used. This is because Miki lived in an apartment that used a water allocation system. Instead of each residential unit paying for the amount of water it uses individually under submeters, residents are charged a part of the water usage of the whole apartment complex, which is calculated by the utility company. 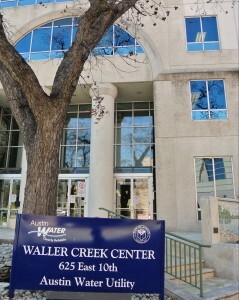 Austin Water Utility in downtown Austin takes part in the water allocations. Some older apartments in Austin use a master meter for the entire complex, which measures the total amount of water used throughout all of the units. 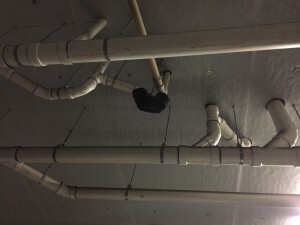 Based on this usage, the property gets a master bill, which is then split among the tenants using an allocation method approved by the Texas Commission on Environmental Quality or Public Utility Commission. Some properties divide water usage based on the square footage of each apartment or based on a percentage for each unit, along with the number of residents. Many properties use the allocation system because it is the only method possible. If properties have only one master meter for the entire complex, they are unable to see the individual usage of each apartment. For this reason, many of Austin’s older complexes, such as Tanglewood North and Su Casa Apartments, use the allocation system. Taped-up water pipes in various apartments in Austin. However, many residents think this type of billing system constitutes an imbalanced system, as some units typically use far less or far more water than others. 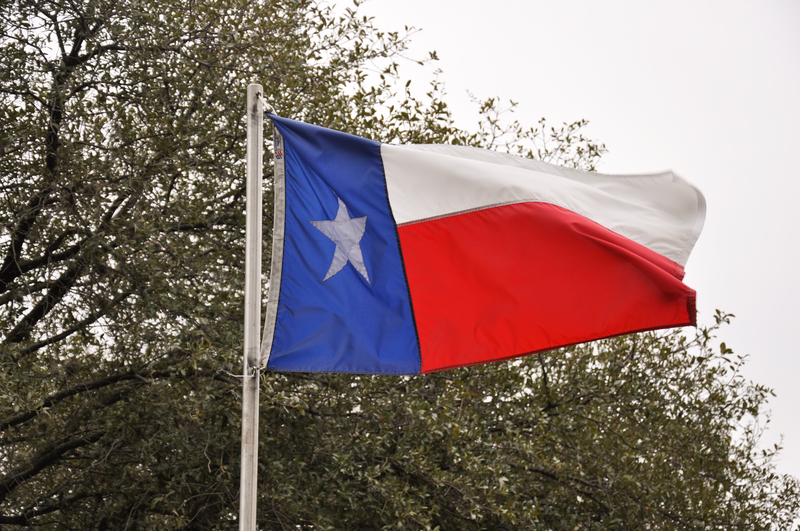 Under Texas law, water allocation is a legal practice. As long as property owners outline specific rules and disclosures in the rental agreement, they are able to allocate water based on the whole property’s usage. In the lease, tenants must be made aware they will be billed on an allocation basis, the exact allocation method, and the average monthly water bill for the last calendar year, along with other procedures. 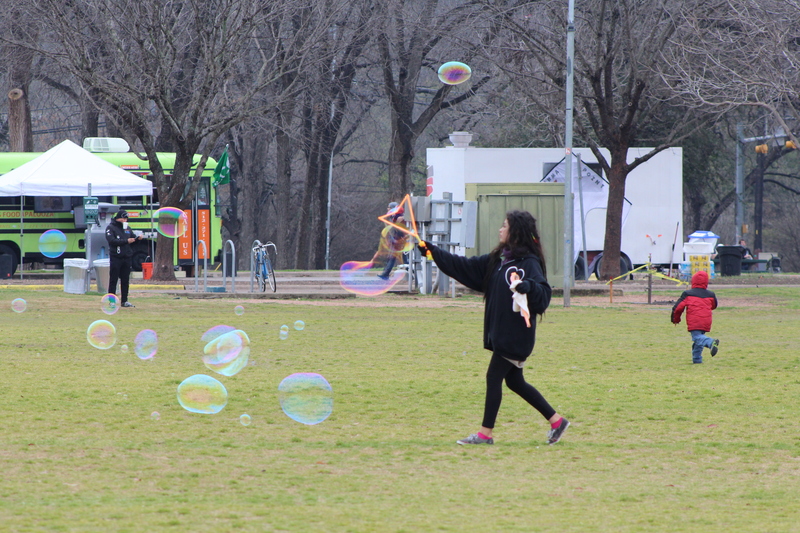 Although the water allocation system can be backwards from the conservation efforts that Austin is pushing for, there are other ways for individuals to save water. There is not much residents can do to combat the water allocation system, if they don’t agree with it. 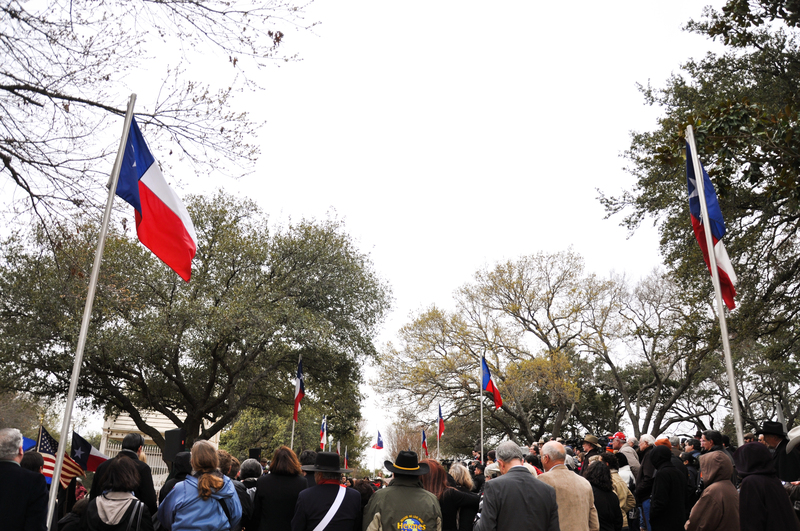 Since it is allowed under Texas law, properties have the right to use their own metering system. 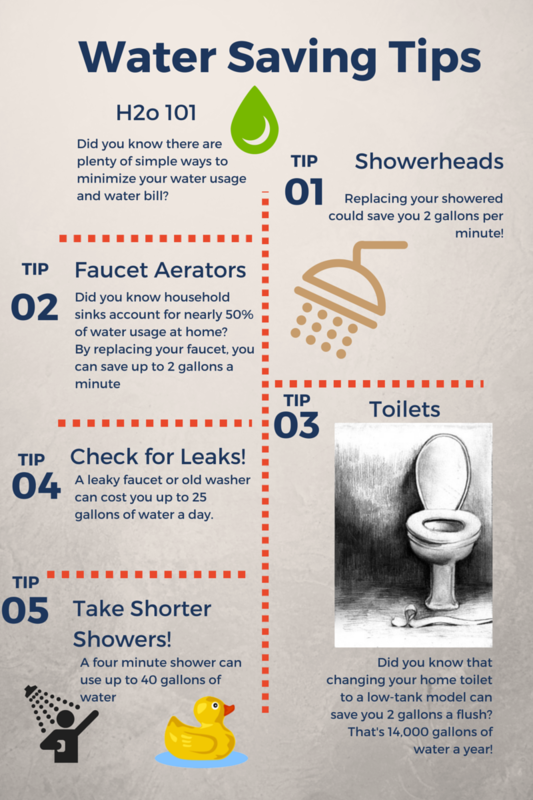 The Austin Water Utility suggests getting into contact with property managers to make them aware of water conservation issues and educate them on the best practices to save water. 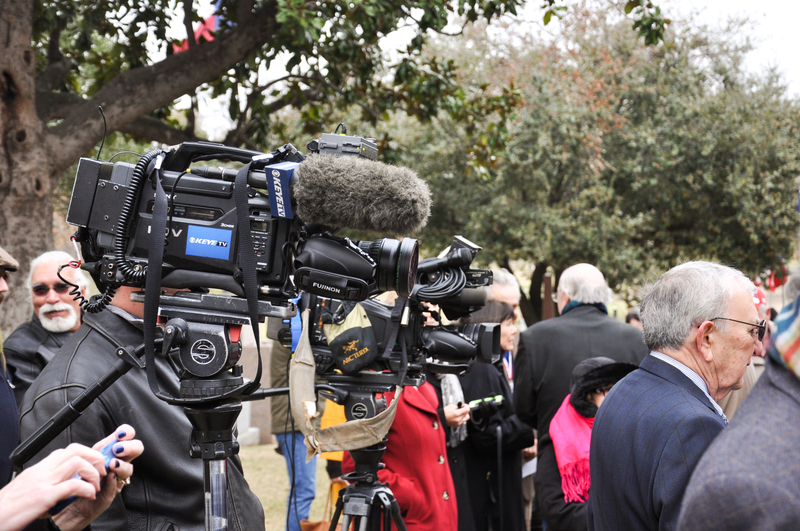 Many tenants believe that water allocation opposes Austin’s water conservation efforts. Currently in a Stage 2 drought restriction phase, Austin is making a push to lower water usage within residents and businesses. However, under the water allocation system, tenants face almost no consequences to using more water than they need, since they are not paying for their individual usage. 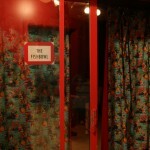 How comedy clubs have taken off in the city that keeps things weird. There is something naturally contagious about laughter, but what is it? It could be the product of a sly comment from a friend or a punchy joke by a comedian. 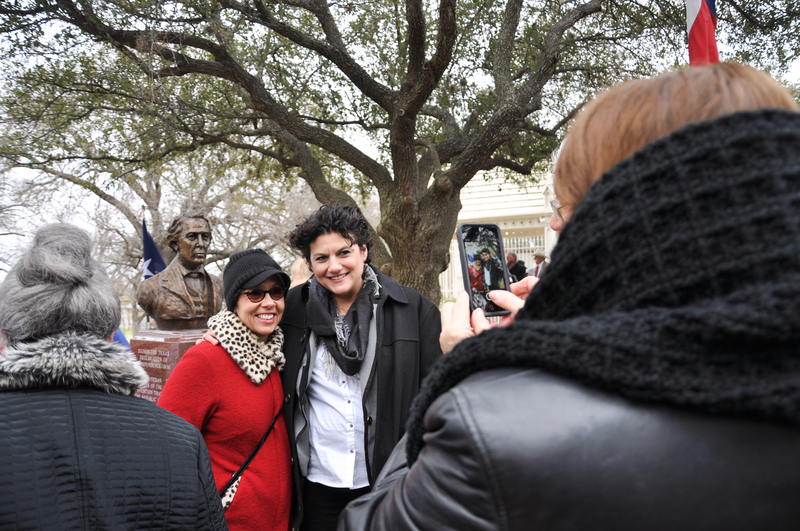 Whether it’s inane, heartfelt or cheerful people simply love laughing and Austinites are no exception. 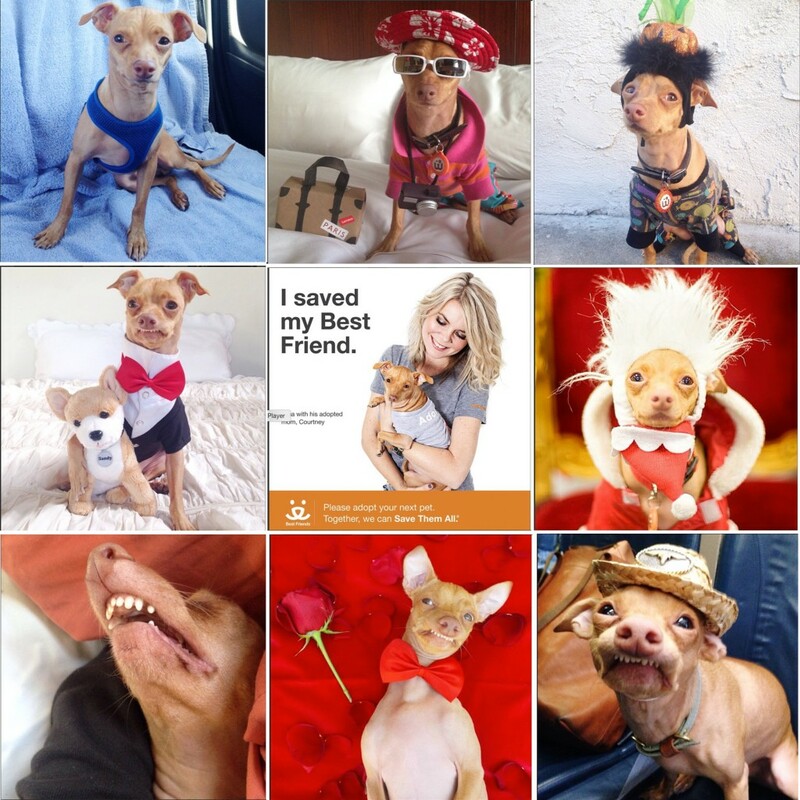 There are more than a dozen comedy clubs and improv theaters in and around Austin. The thriving community of comedians and aspiring comedians are provoking roars of laughter all over. Austin likes to laugh so much that at one point it even boasted its own comedy radio station 102.7 FM which broadcasted old and new comedians 24/7. 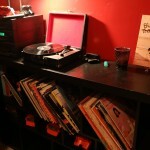 Instead of songs, listeners would tune their dials to 102.7 for short sets of jokes. Despite the fact ratings were strong the comedy radio station made little revenue. 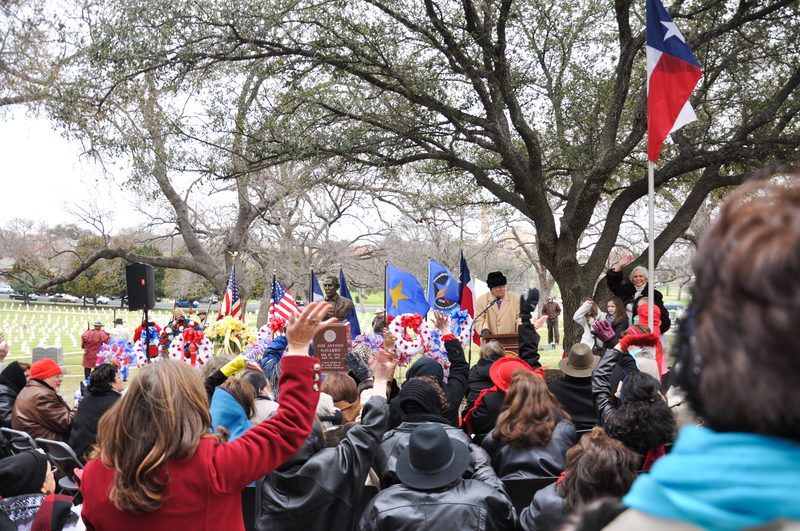 In 2013 the owners, Emmis Austin Radio, turned the station into a Latino Pop channel. 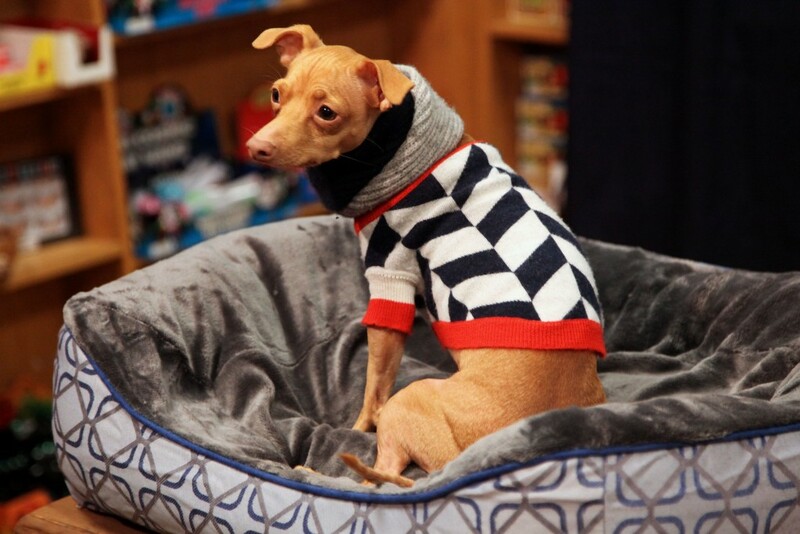 Comedy Central and YouTube have made accessing good comedy easier in recent years and now anyone can watch comedy from the comfort of their home. 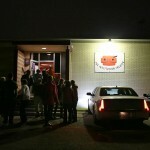 In Austin however, the comedic audience likes to go out to get their comedy fix. 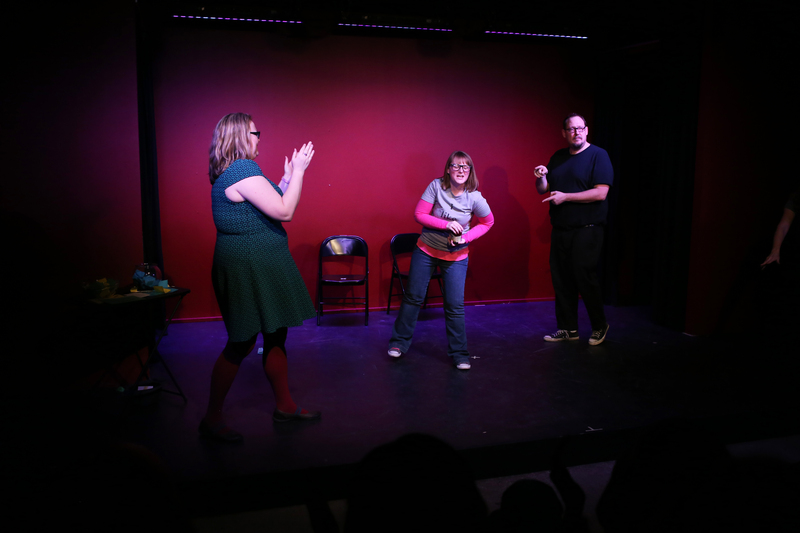 Going into a comedy club or improv theater can be intimidating at first but there are a few things to know before you go in to get the most out of your experience. Austin has a wide selection of comedy venues which serve up everything from ridged stand-up to funny sketches and even zany improv. Stand up consists of one comedian standing on stage telling stories with jokes sprinkled throughout that can end up going in any direction based on the comedians response from the audience. Sketches are planned and rehearsed lines or skits by one or more comedian while improv is completly random comedy made by the comedian in the moment based on suggestions from the audience. 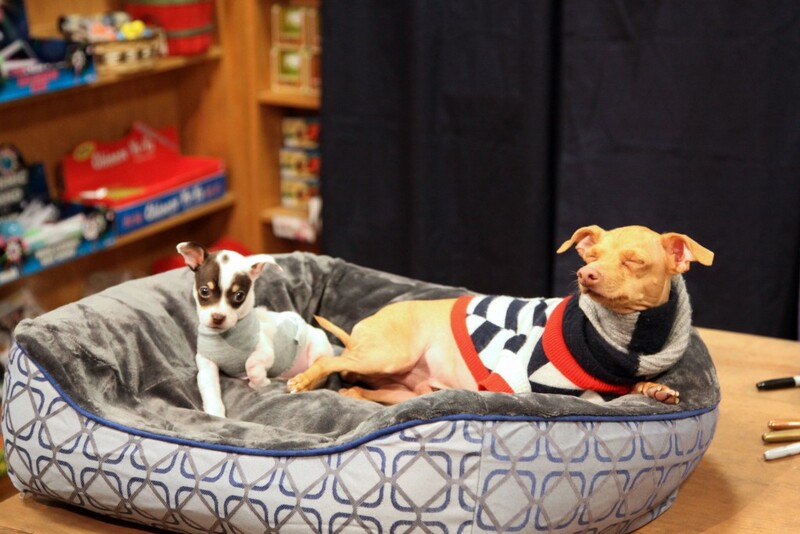 While all comedy, these three are extremely different and may not appeal to everyone. Unlike live music performances, comedy shows involve a little more engagement from the audience. 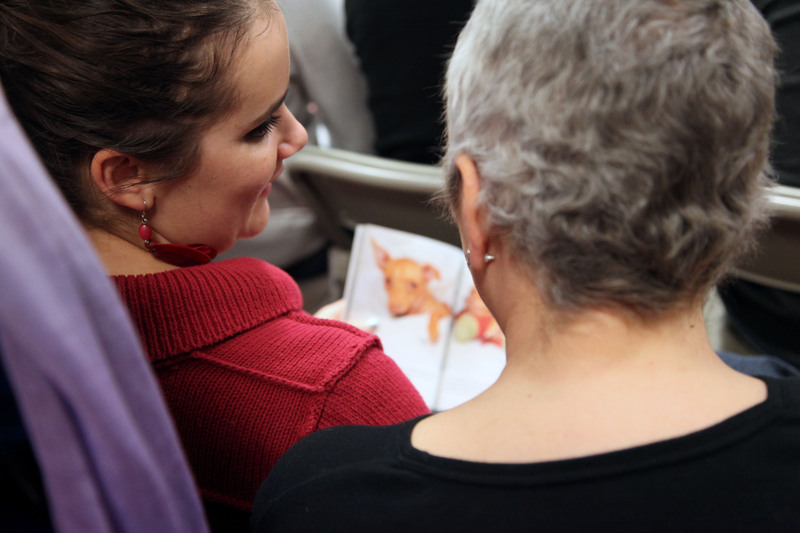 Timid audience members may feel weary under the dim lights or even targeted by aggressive comedic tactics. 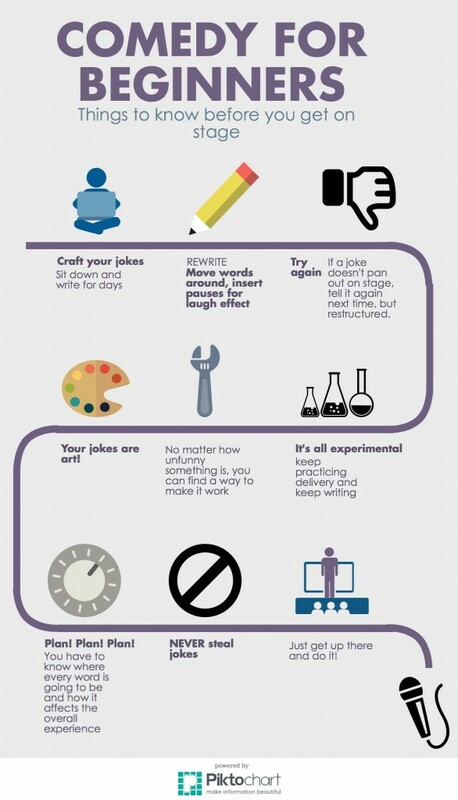 For improv studios like the Institution Theater, brainstorm some suggestions beforehand so you are fumbling for funny places or fake band names to shout out to inspire the comedian. Stand up comedy is always rehearsed so going in blind is okay. Comedy clubs or improv theaters are a place to engage in great bouts of laughter and comedians aren’t afraid to push the boundaries to get the laughs. Comedian Cynthia Oelkers regards the improv act as a bond between the comedian and the audience. “Everybody’s got different boundaries,” she says. You usually talk about them with your troupe.” The comedic boundaries may not always be clear to the audience but even comedians have limits on what the feel comfortable with. 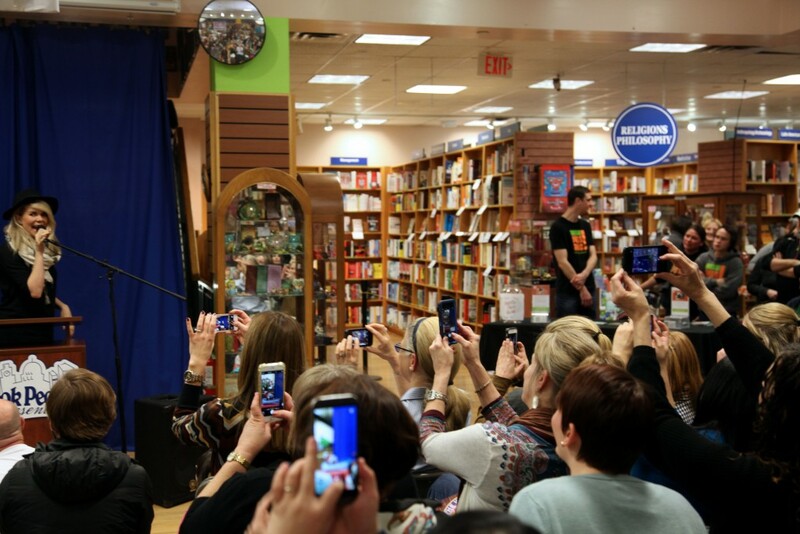 Austin holds plenty of opportunities for those itching to get on stage. 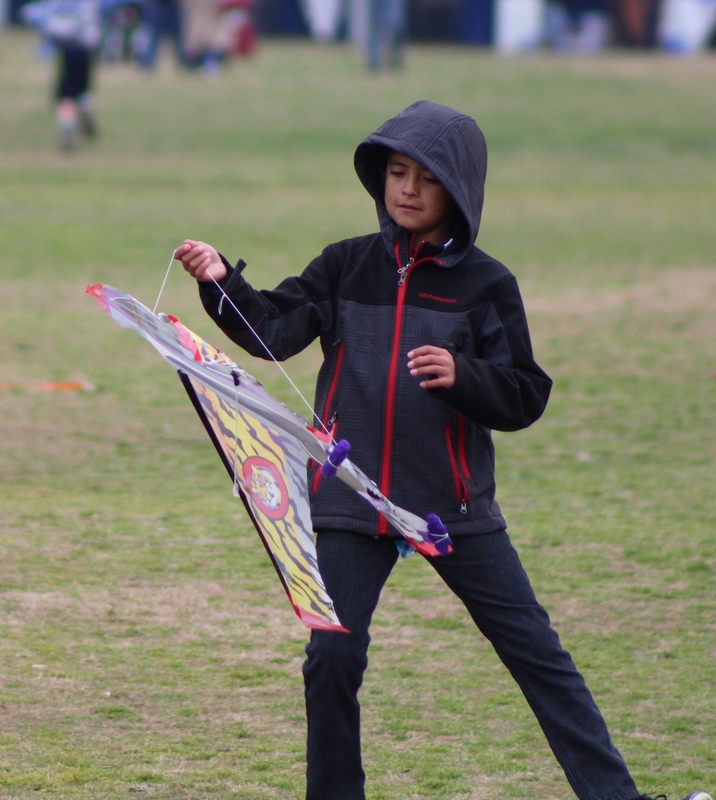 Almost all of the improve clubs offer courses for all skill levels. 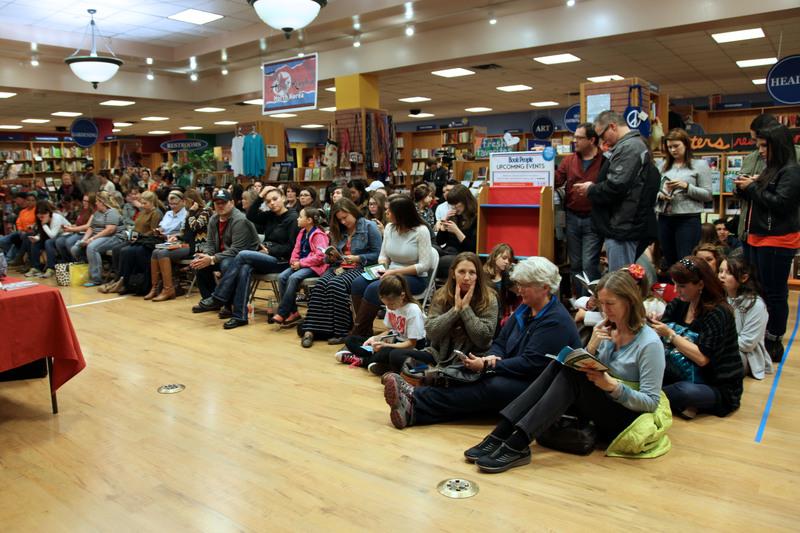 Aspiring stand-up comedians can participate in open mic nights almost every night of the week. “My advice would be to take classes. Everywhere has superb teachers,” said Cynthia Oelkers, an improviser with 14 years of experience. Oelkers credits the classes she took with introducing her to several new people and opening doors for auditions. It all comes down to the laugh and if you are looking to have a good time, one of Austin’s many comedy clubs and improv theaters are just the right place to go. 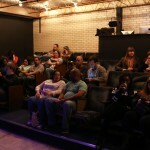 Hear crude or silly jokes, interact with quick-witted improv comedians or just go to laugh your a$$ off. Find out what is funny in the city that keeps things weird in this interactive quiz that will help you find out which type of comedy and Austin theater is right for you. 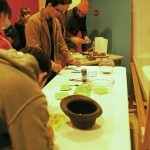 Check out our website, including a short documentary and infographics all about aquaponics! “Tell me this: I can’t turn. Can you tell me what’s behind me?” the text message read. In a normal instance, this message would seem strange. 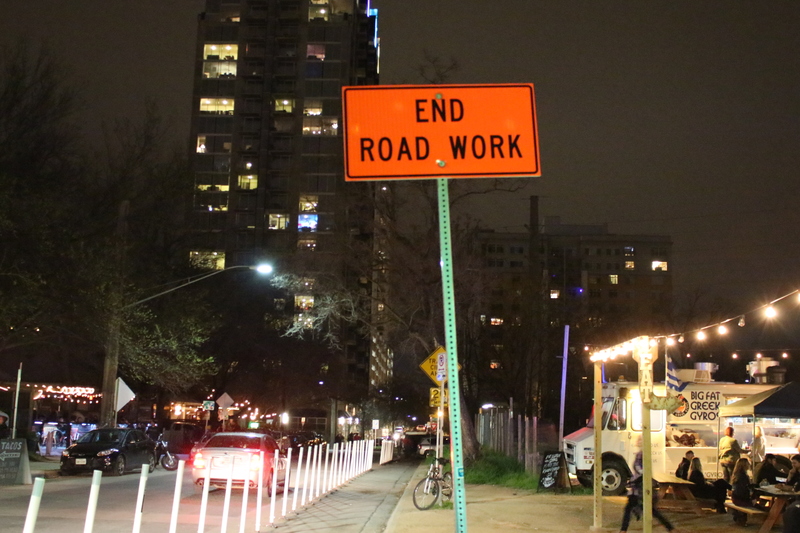 However, it’s just the type of messages street furniture all over Austin are sending. This specific message came from a fire hydrant, one of hundreds of objects around Austin participating in a public art piece called Hello Lamppost. 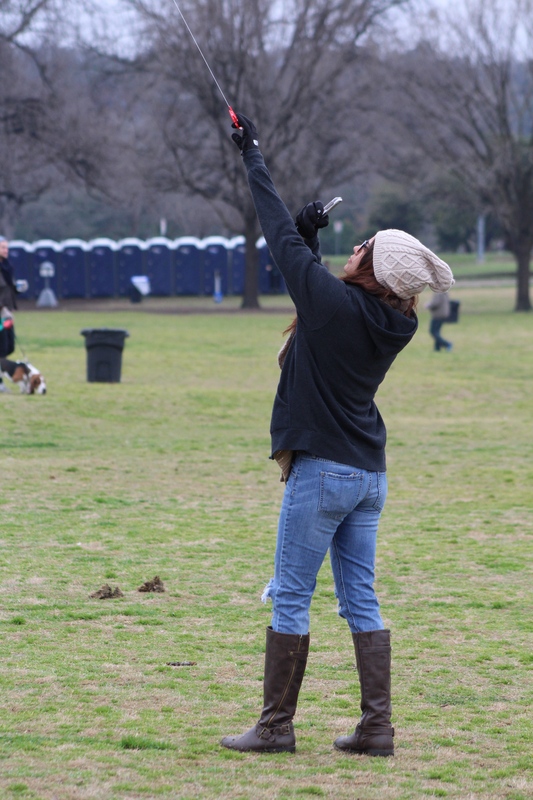 Hello Lamppost enables Austin residents and visitors to interact with their surroundings and learn a little more about each other and their city through their cell phones.